powerful digital marketing strategies for commercial fitness suppliers. unique campaigns to maximise your exposure and drive qualified leads and enquiries. is your true target market – the real decision makers and buyers. Come and see us in the WNiF Newsroom! 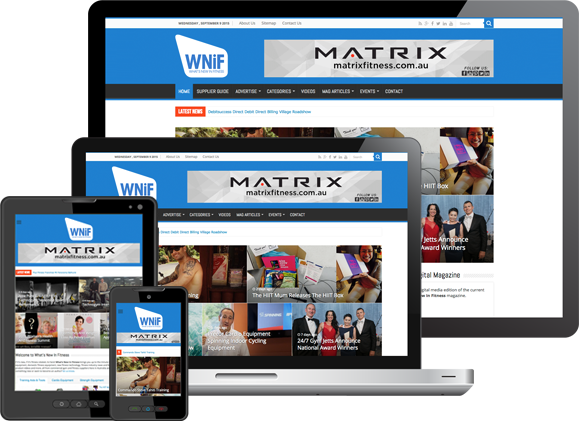 WNiF present the latest commercial gym and domestic fitness supplier products, services and news from around the world, enriching the burgeoning Australian fitness industry. The WNiF platform includes a variety of ‘push’ and ‘pull’ marketing strategies connecting your supplier business (commercial or domestic) with your true target market – real decision makers and buyers. Almost every day of the year, adjustments are made to not only ensure our database is accurate, it’s growing too. Reaching out to the ‘buyer’ remains the top priority for our Team. Whats’ New in Fitness (WNiF) has emerged as a unique resource for fitness professionals. The website and it’s communication channels have been created to support and educate the industry by presenting the most up to date news and information about fitness products and services in the marketplace. When you feature the innovation and advancements of top commercial fitness suppliers from Australia and around the world together with fitness franchise and distributor opportunities from the global players, you end up with a trusted, well received publication that creates a straight line conduit between supplier and buyer. Positioning your business in front of key industry decision makers is a crucial strategy – this is your opportunity! Over 25,000 ‘unique’ website visitors every month. 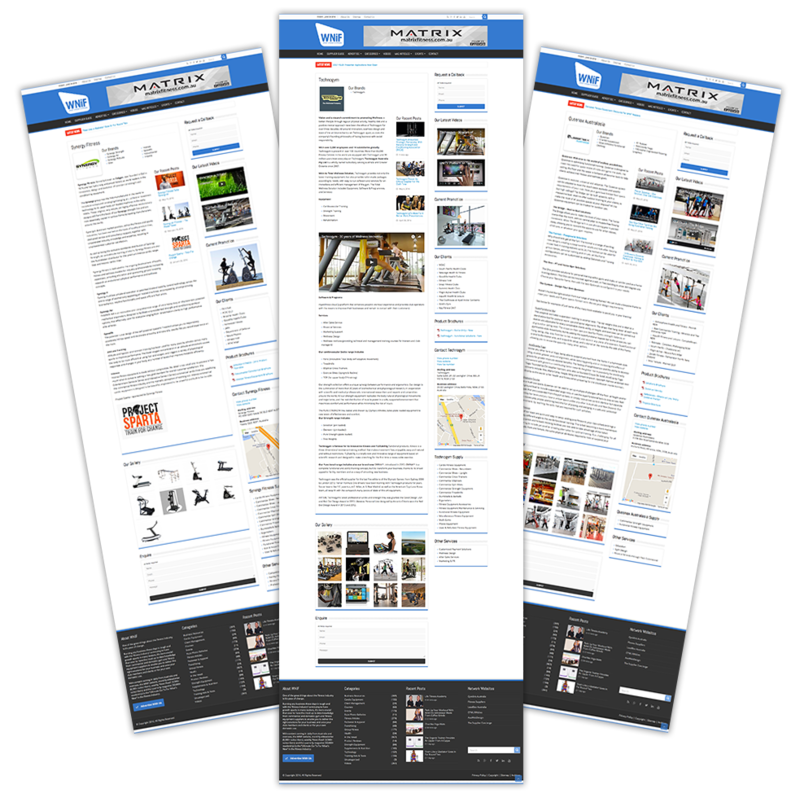 The largest commercial fitness equipment Supplier Guide you’ll find. Quarterly magazine with an annual readership of over 200,000. Weekly and monthly touch points with 10,000+ fitness business owners, managers and operators. Advertising rates starting from only $99. Up to 25% discount with a custom 12 month marketing campaign designed exclusively for your business and your budget. 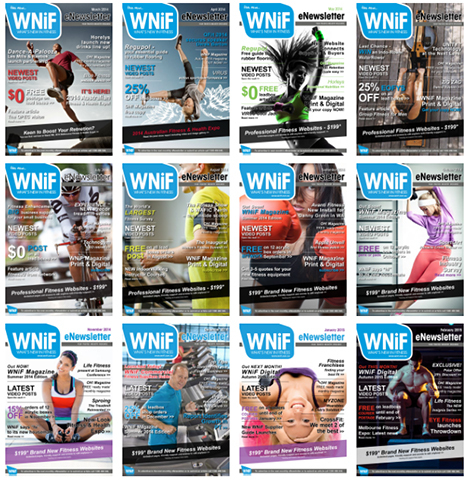 You can view all editions of the WNiF Magazine on our Newstand. What’s New in Fitness publish four ‘digital interactive’ editions per year, extending the readership to well over 200,000 per annum. WNiF choose to add digital because for your business to reach people it needs to fish where the fish are – that’s online, and the pond is getting bigger. Digital marketing not only allows you to monitor the success of your campaign, it allows you to interact with the readers through video, image galleries, direct call to actions and even buy now options. Mobile responsive design so you can view on any device. Embed your latest promotional video or add a photo image gallery. Date capture from your digital advert by adding a enquiry form. Link your social media platforms and spread the word. Monitor your interaction – have many people saw your ad, how many clicked on it and how many of those clicks resulted in new website traffic. Change or update you digital advert at any time free of charge. 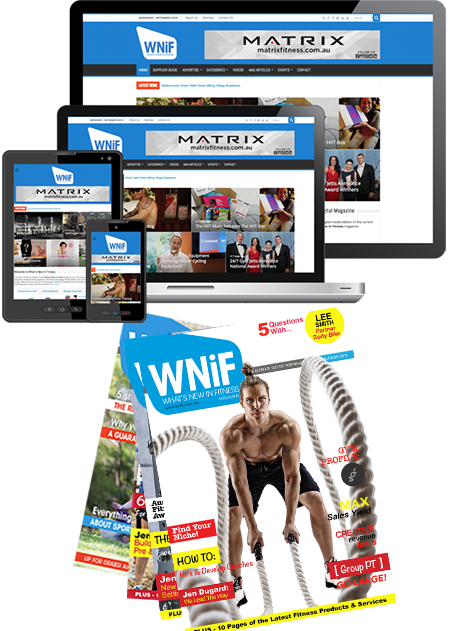 Subscribe to the WNiF magazine. The What’s New in Fitness website would not exist without our relationship with the Australian commercial gym and fitness equipment suppliers. With a steady flow of content coming from those suppliers, it made sense we build a platform containing a comprehensive guide of all the commercial fitness equipment suppliers available to the fitness business owner community. The Commercial Fitness Supplier Guide contains over 1,200 registered commercial fitness supplier businesses. Showcasing your supplier business to over 25,000 visitors per month, you know you are reaching your true target trade audience with all the relevant information on your range of commercial fitness equipment and supplier products and services to help them make that purchasing decision. 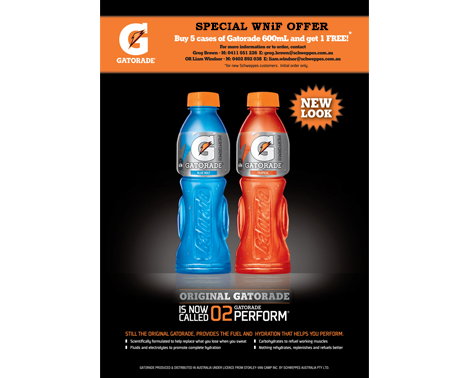 The WNiF Commercial Fitness Supplier Guide is the online fitness supplier expo. Rates start at $149 per month. 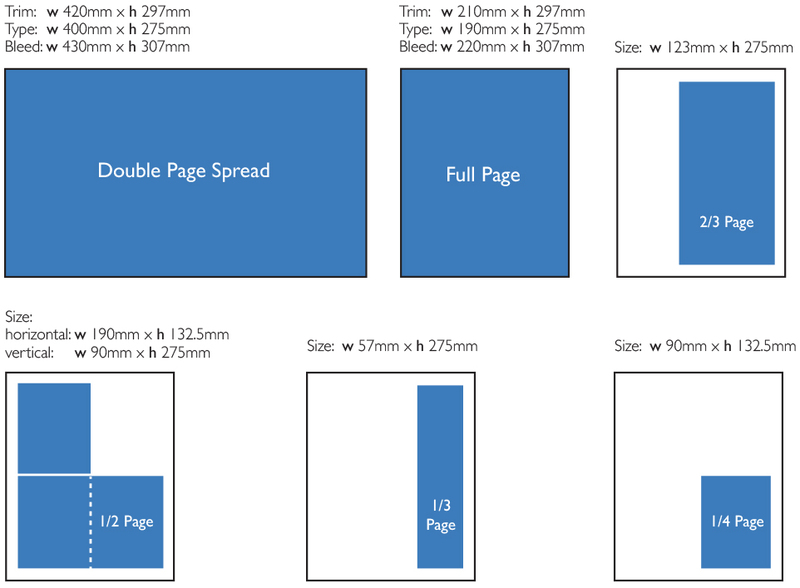 More details on page layout and inclusions – click here. The most trusted fitness business resource in Australia with over 8,200 fitness business decision maker subscribers. Advertising rates start at $149 per edition. Subscription is free – click here. With new content added daily, it’s easy to miss out on the action and what’s new in our great fitness industry. The Weekly News Feed is a readers snapshot comprising a lead in of carefully selected posts, videos and articles published on the WNiF website. The News Feed is distributed every Tuesday morning to over 3,500 fitness professional subscribers (Sept 2017) and is designed to be 100% Smartphone and tablet compatible allowing easy flow and reading regardless of what device it is viewed on. Take top spot in our Weekly News Feed for only $149 (this also includes the ’email subject heading’) or select 1 of banner placements from $99 per edition. Booking essential. Discount packages available for multiple weeks. Free subscription – click here. they want to take to the Australian market. Boost your online presence. Banner and block advertising gives you the opportunity to tap into a cost effective means of increasing your brand exposure and product awareness. Positions are available throughout the WNiF website allowing you to strategically make your mark and look to maximise the exposure of your business, campaign or promotion. With the option of static or animated and costs starting from as low as $49 per month we can place a campaign to suit your budget and marketing strategy. We can even make your ads responsive so they adapts in size to it’s viewing environment (desktop down to any mobile device). View banner and block advertising options. Different from the WNiF Monthly eNewsletter because firstly, all of the content is for your supplier business only (the eNewsletter and News Feeds can feature up to 8 suppliers) and secondly, your message is send to a specific targeted group e.g. gyms & personal training studios in NSW, VIC and QLD. For only $249 you can make your feature article sticky on the WNiF ‘Home‘ page and beyond by taking out prime position for 1 week! WNiF is an extremely fast moving website with content published every single day of the week. This is a great way for your business to retain some longevity with your article, post or promotion. Number 1 article on the home page carousel for 1 week. how do i promote my supplier business? Queenax Australasia have been extremely happy in our partnership with WNiF. The advertising and promotional opportunities WNiF offer have brought direct enquiries and quality sales leads. Craig and the team are incredibly supportive, and have a very keen knowledge of the Australasian market. WNiF offer a professional graphic design service from highly experienced designers at competitive hourly rates. Artwork can only be accepted as per specifications below. If for any reason you are unable to supply print-ready PDFs for display advertisements, please contact us to make alternative arrangements. All fonts saved as outlines. All images CMYK 300 dpi. Summer edition (Nov/Dec): Booking deadline: last week Oct, material deadline: first week Nov. Autumn edition (Feb/Mar): Booking deadline: last week Jan, material deadline: first week Feb. Winter edition (May/Jun): Booking deadline: last week Apr, material deadline: first week in May. Spring edition (Aug/Sep): Booking deadline: last week Jul, material deadline: first week Aug. The WNiF Magazine is distributed digitally four times per year as set out below. Advertise in multiple editions or let us put a custom package together to suit your budget and take advantage of discounts of up to 35%. Perfect for start up supplier businesses and essential for established commercial and domestic fitness suppliers. The WNiF Advertising Network offers a variety of ‘push’ and ‘pull’ opportunities to suit your budget and business strategy. We can provide a comprehensive 12 month advertising package to maximise your exposure both online and offline, getting your business out there and in focus within the Australian fitness industry’s professional network and beyond..
Digital publications in Summer, Autumn, Winter & Spring – view current edition or view all in our Newstand. Online (12 month premium listing on the WNiF Supplier Guide. Monthly WNiF eNewsletter features (over 8,000 subscribers) – view past and present editions. Weekly WNiF News Feed (over 3,500 subscribers) – view current edition. Targeted email campaigns to gyms, studios, personal trainers etc. in your preferred states. 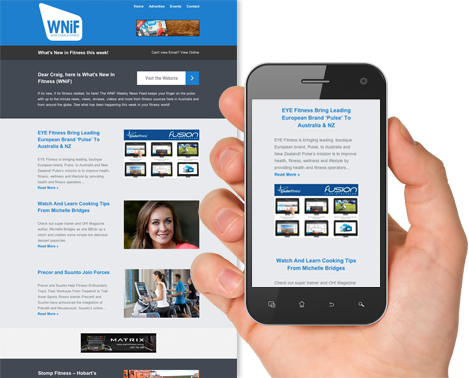 Online real estate – strategically positioned banner & block ads throughout the website including WNiF Supplier Guide, Monthly eNewsletter & Weekly News Feed. Featured article placement on the WNiF website with general content including videos, url links, photo galleries and more. ‘Your Company’ directory published online with all your gym, studio, club installations throughout Australia. Get a quick quote for a package to suit your budget, call 1300 38 38 77. 1. All bookings are subject to a minimum 10% deposit at time of booking. Account balance payable within 7 days from date of distribution. No cash discounts or agency commissions allowed. Advertisers billed at special early bird rates that fail to fulfil the contract will be billed for the difference to reflect the actual rate. Overseas advertisers must prepay at time of booking. Payment options include all types of credit card, EFT or cheque payable to GymLink Australia. Credit card payments by Visa or MasterCard only. Overdue accounts are subject to a 1.5% service charge per month (18% annually). 2. Dual responsibility: Advertiser and advertising agency are jointly and severally liable for payment. WNiF will not release any advertising agency from liability even if sequential liability clauses are included in contracts, insertion orders, purchase orders, etc. Billing directed to an agency is approved on the condition that a minimum 10% deposit is paid at time of booking and the advertiser accepts responsibility for payment if the agency does not remit payment within 14 days from the date of distribution. 1. All advertisements are accepted and published entirely on the representation that the agency and/or advertiser are properly authorised to publish the entire contents and subject matter thereof. It is understood that, in consideration of the publication of advertisements, that advertiser and/or agency will indemnify and hold WNiF harmless from and against any claims or suits from libel, violation of rights of privacy, plagiarism, trademark and copyright infringement, and other claims based on the contents or subject matter of such publication. 2. WNiF reserves the right to reject any and all advertising that feels is not in keeping with the publication’s standards, policies and principles. 3. WNiF reserves the right to add the word “Advertisement” at the top and/or bottom of, or anywhere within any page, that in WNiF’s sole judgment, too closely resembles editorial pages of the publication. 4. Placement of any advertisement is at the publisher’s discretion except where otherwise agreed and confirmed in writing. 5. WNiF will not be bound by any conditions, printed or otherwise, appearing on any order, insertion or contract when they conflict with the terms or conditions of the rate card herein, or any amendment thereof. 6. WNiF shall not be liable whatsoever for any failure to publish or circulate all or any part of any issue due to strikes, work stoppages, accidents, fires, acts of God or any circumstance not within the control of WNiF. 7. WNiF is not responsible for the accuracy of any corrections or changes made to any advertiser’s materials. 8. If complete material is not received in accordance with confirmed material deadline dates, it is agreed that WNiF is to insert material on file or, lacking that, the advertiser’s name, address, and phone number. 9. Advertisement artwork is held at the risk of the advertiser/agency, and not insured by the publisher. All ‘Booking’ and ‘Material’ deadlines shown on ‘Ad Specs’ page. Cancellations must be in writing and received before booking deadline. Cancellations received prior to booking deadline are subject to a 10% cancellation fee. All ‘Cover positions’ sold by contract and are non-cancellable or refundable. A 50% cancellation fee applies to advertisements cancelled after the booking deadline dates. Cancellation policies are final and non-negotiable. Marketing a new product or service in today’s highly competitive environment can be a challenge to any business – new or old. The diversity of the market make it a specialised task to position your brand for both maximum visibility and enhanced respect among customers. We are marketing professionals and have been providing quality services to businesses in the Australian fitness ‘supplier’ and ‘trade’ sectors for the over 12 years. We provide custom made marketing strategies and services for your brand in accordance with the vision of your company and its goals. The results we aim to achieve are an enhanced market presence for your brand and a significant return on your investment. It would be a pleasure to work with the you, and given the chance, we would like to prove our value for your company by producing and delivering a specific marketing plan aiming to reach the customers expected to attend the event. Call us on 1300 38 38 77 or send through your enquiry now. If you’re still thinking about, read some of our client quotes above.